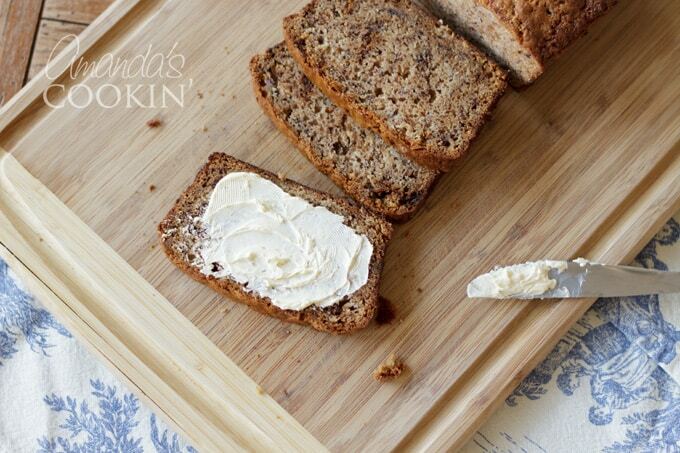 Banana Bread: this sour cream banana bread is delicious! Almost a year ago in December of 2016 I asked my Facebook followers for a banana bread recipe. I received many different suggestions but the one I ended up making was a sour cream banana bread. I actually made it three times to get it just right as the recipe as written was using smaller than standard pans and the oven temperature was too low. However after much trial and error this sour cream banana bread is my new favorite! I wasn’t kidding when I said I made this three times. Baking is a science for sure, and depending on where you live and how your oven behaves, results can vary from baker to baker. That’s what I found with this banana bread recipe. I have to agree that this is the best banana bread I’ve ever made, which is why I was so diligent about getting it right. With the oven at 300F I baked the breads for an hour and 45 minutes and they still weren’t done. I assume it was because of the pan size she recommended, which was 7×3, a size I simply don’t have. Standard pan sizes are 8×4 and 9×5. There’s a big difference between these three sizes (lots of great info in this article). So when you print the recipe below, be sure to use the pan size that I have specified. I used my KitchenAid mixer to mix the wet ingredients then switched to mixing by hand when adding the dry ingredients. Quick breads should not be over-mixed as it can make the final product tough. It’s always best to add the dry ingredients by hand. 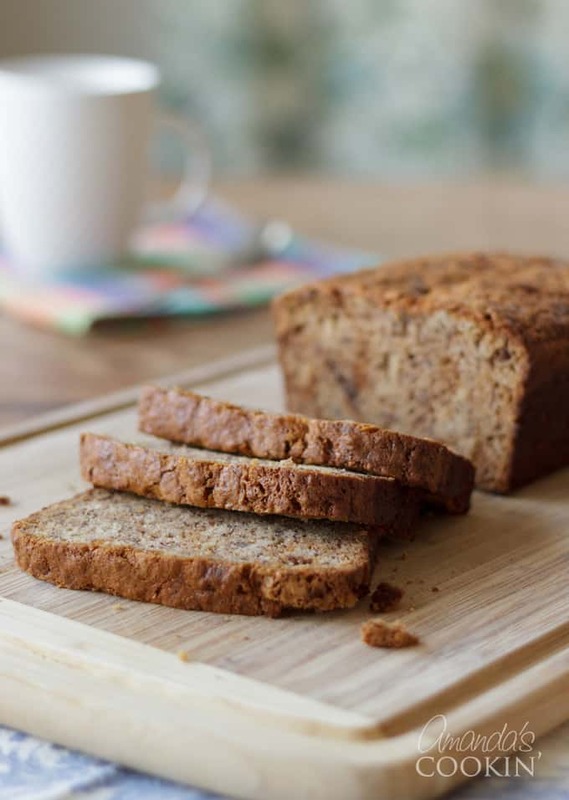 Banana bread has always been a family favorite. it’s great all year but seems especially comforting during the cool weather days of autumn! I hope you get a chance to try it. Enjoy! If you love banana baked goods like I do, you’ll want to try my very popular banana cake with cream cheese frosting. 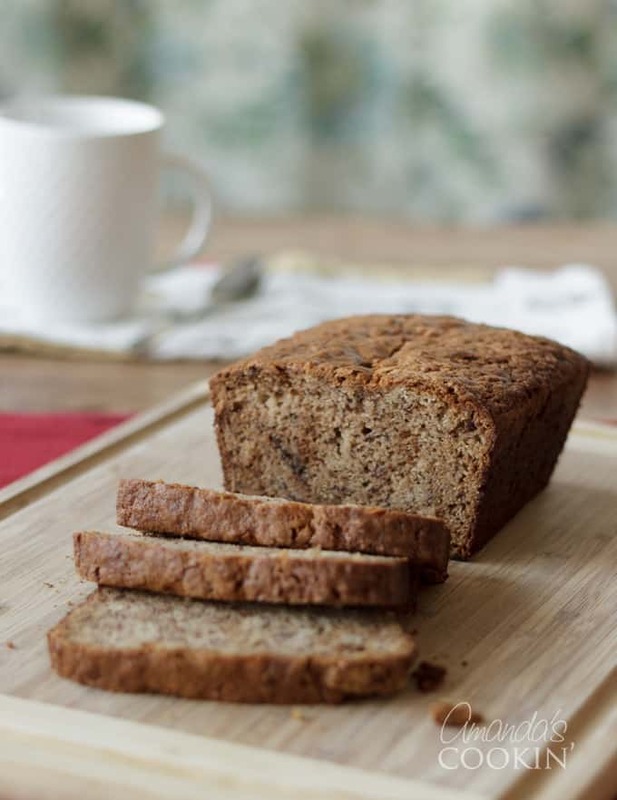 If you’re in a hurry, this short cut banana cake uses a cake mix for quick preparation. Another really popular banana recipe is this banana pudding poke cake, so good! 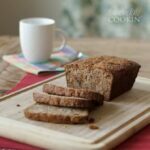 This sour cream banana bread is moist and delicious and has amazing banana flavor. Preheat oven to 325 degrees F. Grease two 9x5 inch loaf pans. In a small bowl, stir together 1/4 cup white sugar and 1 teaspoon cinnamon. Dust pans lightly with cinnamon and sugar mixture. Bake for 1 hour and 20 minutes or until a toothpick inserted in center comes out clean. Calorie count includes option pecans listed at the end of the recipe. Would like to try this but think 3 cups of sugar is way too much. Maybe will try using only 2 cups which seems more reasonable. Love banana bread but trying to cut down on sweet treats. Not easy!! Hi Jo! Please note this makes TWO banana bread loaves :) Enjoy! 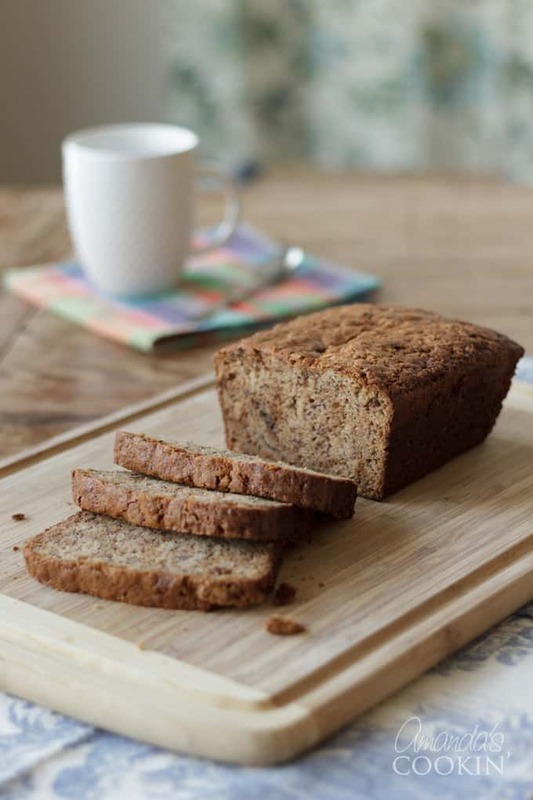 Looking forward to making this banana bread! How long do you cream the butter and sugar? Till light and fluffy (3-5 minutes) or until just incorporated (creamed together)?